Dubfire and Miss Kittin have scored another big hit in the form of their second collaboration Ride, the follow-up to the much-loved anthem Exit. - Track? !D. 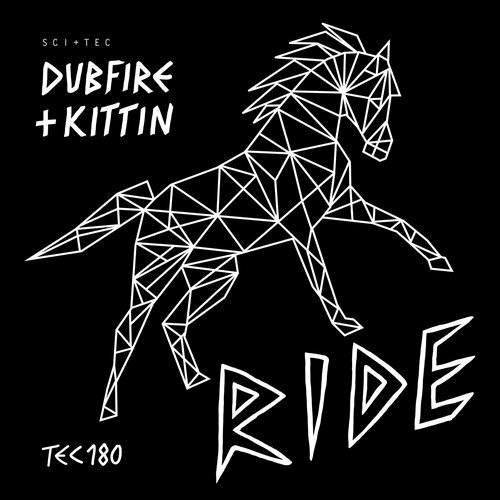 Home » Dubfire » Miss Kittin » Solomun » Updates » Ver » Dubfire and Miss Kittin have scored another big hit in the form of their second collaboration Ride, the follow-up to the much-loved anthem Exit. Dubfire and Miss Kittin have scored another big hit in the form of their second collaboration Ride, the follow-up to the much-loved anthem Exit. Dubfire + Miss Kittin’s 'Ride' gets the remix treatment. Solomun, Audion, Djedjotronic + Depeche Mode’s Vince Clarke provide reworks. Dubfire and Miss Kittin have scored another big hit in the form of their second collaboration Ride, the follow-up to the much-loved anthem Exit. Now, many destroyed dancefloors later and they’re unleashing a big pack of remixes to sit alongside their two original versions. Solomun may best known for big melodies and hooks, but his remix boldly displays his affinity for heads down techno. A beast of a track, it centers around ticking percussion and pulsating synth delays with a throbbing low end. Minimal in approach, maximal in aesthetic, it’s a no-nonsense groove. Matthew Dear dons his Audion guise to remind us how instrumental he was in formulating that oddball techno sound a decade ago, making good use of the vocals in the heady breakdowns and matching them with unsettlingly wavering synth sirens and an almost tribal bass stomp. It’s full of atmospheric touches and pulls off a big room feel without resorting to cliches. Depeche Mode, Erasure and Yazoo legend Vince Clarke is a personal hero of Dubfire’s, making his appearance on this package all the more of a special, rare treat. His chunky house groove is decked out with rolling congas, electro arpeggios and a yearning, bluesy guitar lick. French star Djedjotronic has himself remixed Depeche Mode, and his version rounds off the package with throbbing low end, harrowing synths, techy percussion and brooding Reese bass swells. With four very different mixes to choose from, this is an immense package that is set to cause havoc on dancefloors worldwide for some time to come.